​Gort Ard Club offers boys aged 11 to 13 a wonderful opportunity for learning skills (musical instruments, movie making, modelling, animation, woodwork), playing sports (soccer, tennis, basketball, table-tennis, volleyball) and having fun with friends at outings and challenging activities (hiking, orienteering, swimming). Taking part in activities outside school, in a safe environment, is essential for developing one’s personality. 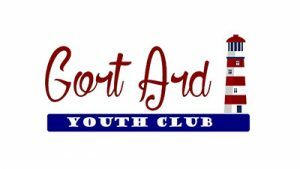 At Gort Ard Youth Club boys will have a chance to grow into the best person they can be, learning new skills and acquiring good habits of service, hard work & friendship, while having lots of fun. Gort Ard is located in the heart of Salthill, behind Leisureland swimming-pool, and only 5 min walk from Blackrock beach and diving boards. The large grounds and varied sports facilities provide an ideal environment for young fellows to excel and have lots of fun while playing outdoor games or practicing their favourite sport. and a volleyball grass court. Every month, on the fourth Saturday of the month from 3pm to 5.30pm, several dads get together with other dads and their sons for an afternoon full of activity, teamwork, learning and fun. Some of the challenges they’ve had to work on together as a team: roller-coaster marbles, wooden-car models, ductape wallets, spaghetti-&-marshmallow towers, etc. Sometimes activities take place in Gort Ard but often they may take place in other venues. Sons and dads learn together about the Christian faith, about being responsible and virtuous persons, etc in a friendly and fun environment. See the flyer here.